This was supposed to be the year blue states created government-run health insurance plans, after health care-fueled midterm election victories. But legislation around the country to craft a so-called public option — a longtime progressive goal — has stalled over political and financial roadblocks, underscoring the challenge of creating coverage expansions even less comprehensive than the “Medicare for All” plan championed by Democratic presidential contenders and progressives in Congress. 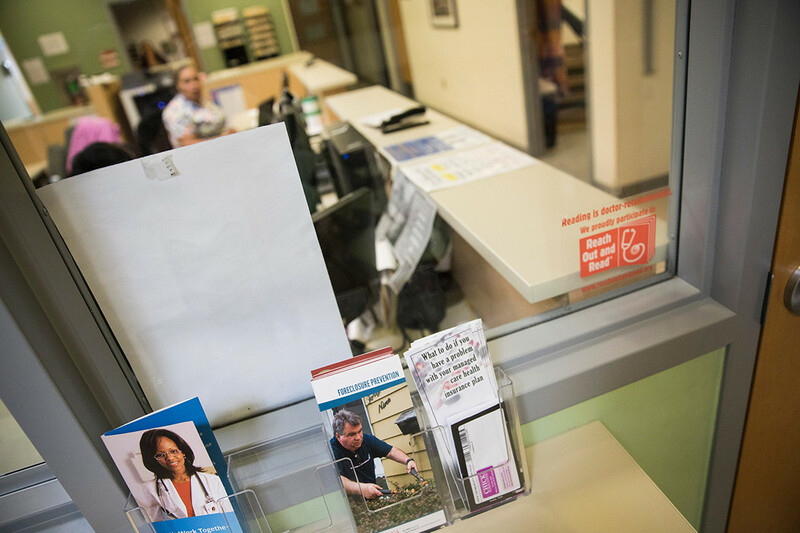 Legislative proposals in New Mexico, Nevada and other states to set up a public option to give people more choices — and insurers more competition — have been watered down or shelved as lawmakers struggle to design affordable plans building on Obamacare. And multiple Democratic governors who backed the idea during their campaigns haven’t pushed it since taking office. The public option has appeal among some moderate Democratic officials hoping to harness the base’s energetic support for Medicare for All in the 2020 elections — while skirting the political risk of embracing the full single-payer overhaul that Republicans decry as socialism. Democrats who have embraced less radical overhauls hoped to leverage the party’s newfound advantage on health care to make progress toward universal coverage this year while contrasting it with Republican efforts to repeal Obamacare. Only Washington state appears to be on the verge of passing the first-ever public option. The plan has been driven by Democratic Gov. Jay Inslee, a presidential candidate who said he favors more gradual changes that wouldn’t immediately eliminate private insurance, as the most prominent Medicare for All plans would. Some progressive activists said they can be patient as Democrats take time to design workable public option plans — especially as the party tries to defend against the Trump administration’s attacks on Obamacare — but they said the base expects them to follow through. The problems state Democratic lawmakers are confronting echo those the party would face at the national level if they sought a similar overhaul upon taking back Washington: How much to pay health care providers, how much to subsidize people’s health care costs and how much of the private insurance market to preserve — if any. “Keeping costs down is easier said than done, and Democrats trying it at the national level will likely run into the same problem as those in the state level,” said Avik Roy, a conservative health policy expert. Public option proposals have varied, but they would generally allow some people to purchase into existing programs — like Medicaid or state employee health plans — or create a new health plan controlled by the state. It’s a less radical overhaul than Medicare for All, which would put everyone under a fully government-run system. Some Democrats in Congress, including several presidential candidates, have supported public option plans, but they have largely been overshadowed so far by the high-octane fights over Medicare for All and the Trump administration’s efforts to dismantle Obamacare. House Democratic leaders, wary of waging intraparty fights over expanding government coverage, are pushing legislation to bolster Obamacare — putting pressure on Republicans over President Donald Trump’s recent support for a lawsuit that would eliminate the 2010 health care law. “We are not going to be on defense about this while the Trump administration is trying to sue to get rid of the Affordable Care Act,” said Ian Russell, a party strategist and former deputy executive director of the Democratic Congressional Campaign Committee. Still, despite high expectations this year, there’s been little progress on the public option in the states. Democrats in New Mexico, the state seen as the mostly likely to enact a public option this year, punted on a plan that was projected to insure between 10,000 and 30,000 residents through a Medicaid buy-in program. The original bill that called for $24 million in new state funding to set up a public option was replaced by a watered-down bill allocating roughly $140,000 to develop a proposal. “I thought New Mexico was going to go further than they did,” said Andy Slavitt, who ran CMS under the Obama administration and chairs the United States of Care, a nonprofit advising states on the public option. New Mexico lawmakers ultimately feared the state couldn’t afford the program without federal funding. And they were wary of seeking funds from the Trump administration, which has indicated it’s unlikely to approve a plan further expanding government-run coverage. Even smaller efforts to advance a public option have run into obstacles. In Colorado, the legislature considered a pilot project allowing a few hundred middle-income residents to buy into the insurance plan for state employees. But the idea was shelved after lawmakers found the robust benefits offered to state employees would make the public option too expensive. Time is running out this year, with many state legislative sessions already ending or wrapping in the coming weeks. State lawmakers are facing strong pushback from health industry groups, who’d likely see a hit to their revenues. As Congress debated what would become the Affordable Care Act a decade ago, the Obama administration wanted to include a public option to compete against private insurers, but the idea was tossed at the time for being too liberal. The law instead included waivers that encouraged states to pursue their own health care ideas with federal support — such as a public option. For liberal state coverage expansion plans, the window has largely closed under the Trump administration, which instead is expanding cheaper health plans that cover fewer benefits. While states could create a public option without the federal government’s permission, many lawmakers are reluctant to do it without federal subsidies to help make the coverage more affordable. New Democratic governors in Colorado, Illinois, Minnesota, and Nevada have voiced support for a public option. Several have said little about it since the campaign, however. In Nevada, where the legislature two years ago approved a first-in-the-nation Medicaid buy-in bill that was vetoed by the Republican governor, new Democratic Gov. Steve Sisolak appeared to hedge on previous support. In a public forum earlier this year, he suggested he might not have signed that 2017 bill. A spokesperson didn’t respond to questions about his position. The sponsor of the 2017 legislation, Assemblyman Mike Sprinkle, resigned last month amid sexual harassment allegations, and no one has taken over the bill. “Building a stronger, more robust health care delivery system paves the way for IllinoisCares, a public option the Governor remains committed to implementing,” said the spokesperson, Jordan Abudayyeh. In Minnesota, Gov. Tim Walz proposed to create a plan that would be available starting in 2023, but it’s been resisted by the GOP-controlled state Senate. Similar to other public option proposals, base reimbursement rates to Minnesota hospitals and doctors would be pegged to Medicare levels. Republicans, as well as industry groups that largely oppose the idea, have posed it as a threat to the health care system because those rates are significantly lower than those for private insurance. A Walz spokesperson didn’t initially respond to a request for comment. After this story published, a spokesperson said the public option would preserve the insurance system while making coverage affordable for more people. “When the market fails to offer enough choice for Minnesota families, this public option will bridge the gap,” said spokesperson Teddy Tschann. In Washington state, lawmakers are expected to approve a public option in the coming days. The legislation would require the state’s Obamacare marketplace to create standardized plans to be sold alongside private coverage starting in 2021. The public option is also a live issue in the Connecticut legislature, where a bill would let businesses with 50 or fewer employees buy into the employee state health plan in 2020, and individuals could join as soon as 2021. In an effort to keep costs affordable, the state comptroller would be tasked with creating plans that would likely offer less generous benefits than what public employees receive. Lawmakers believe they can set up the plan without asking the federal government for aid. Connecticut Comptroller Kevin Lembo, who has been pushing for a public option for years, said he isn’t surprised that states are running into budget constraints as they explore the idea. And he knows any plan will be fought by the industry. “The lobbying folks know that they can walk into a legislator’s office or a governor’s office and say, ‘job loss, job loss’ and everything will go away,” he said.